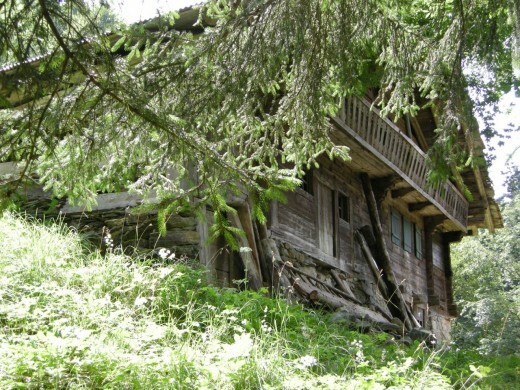 A small team of woodworking experts led by the Chippendale International School of Furniture, based just outside Edinburgh, is renovating a dilapidated chalet in Switzerland set high up a mountainside with no road access. 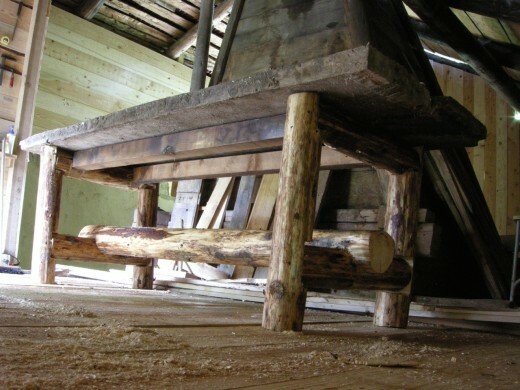 The log chalet, built in about 1840 near the Alpine village of Val D’Illiez, is at an altitude of 1400m in the Dents du Midi mountains, with no road access, meaning that everything has to be hauled by hand. The restoration project, led by Anselm Fraser, principal of the Chippendale school and former student Ewan Ogilvie, will take several years, with work only possible in the summer months. In winter, such is the unforgiving climate, the chalet has to support up to 40 tonnes of snow. 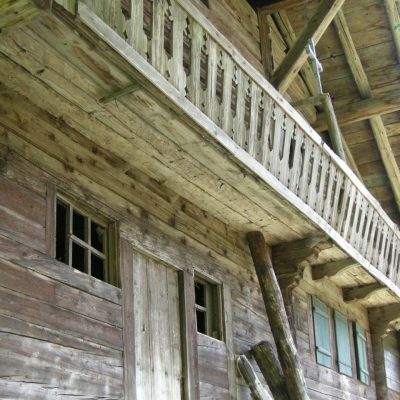 The chalet, uninhabited for some 60 years, was built without foundations or metal fixings, and the main structure was constructed using only axes and an adze, with the chalet built on rocks collected from a nearby gully. 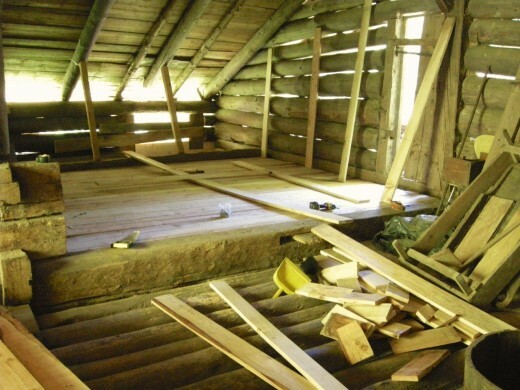 The first year has largely involved securing the structural integrity of the chalet, including a new overhanging roof and internal doors and walls – using only the kind of tools that the original builders would have had access to. 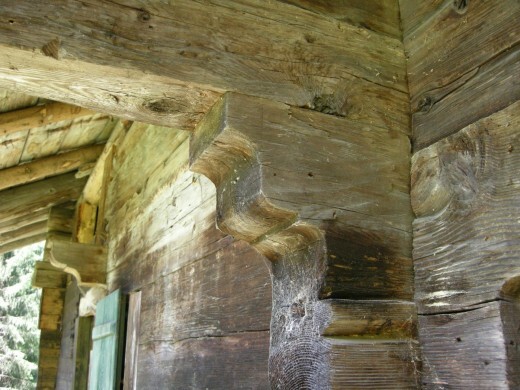 To maintain its architectural authenticity, doors were hung using wooden hinges. The Chippendale International School of Furniture takes students from the around the world, and involves students past and present in practical project work. For example, as part of the Swiss project, the team built a wooden dining table, staying true to the building’s design authenticity. Ewan Ogilvie now runs his own bespoke furniture business, Ogilvies of Haddington, in an incubation workshop that adjoins the school. 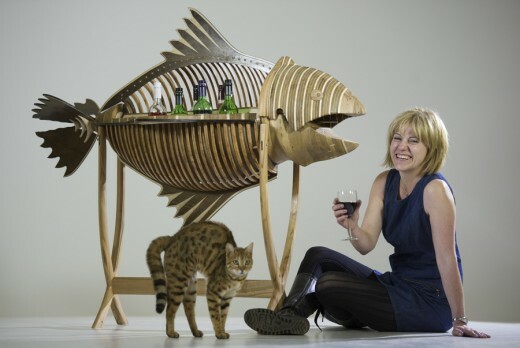 “Most of my work is designing and building unique pieces of furniture. The Swiss project is also about history and mostly using only the most basic of tools – a unique experience,” he said.